Buoyed by the lifting of sanctions in 2016, many are expecting the Iranian economy to experience a significant boom in the near future. For this success to be sustained, solid foundations need to be established, and reforms in major industries will likely be aided by the (much needed) experience of consultants. Eyeing a prize that we assess to be worth somewhere in the region of $850m, large and small consulting firms are lining up to enter this emerging market. Traditional growth areas in emerging markets, such as the public sector, are appealing but come with a lot of bureaucracy attached; private sector opportunities such as in banking, and TMT offer smaller opportunities for now, but less red tape. Whichever sector consultants pursue business in, local knowledge and a detailed understanding of the market will be essential. Partnerships with local organisations can assist with that, but ultimately success is likely to be determined by a consulting firm’s willingness to invest in the country and create the market, rather than waiting for it to happen. 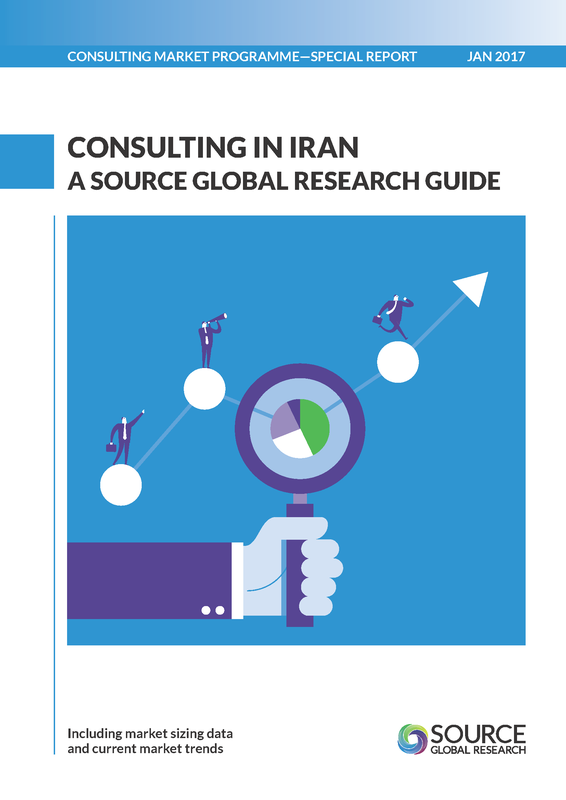 This short guide to consulting in Iran brings together stories and opinions shared with us by consultants working in and around Iran, with essential advice for anyone looking to enter the market. We identify where the work is, what type of work is in demand, and the challenges that firms face. Using data from our Global Consulting Data Model we provide the consulting market size in Iran broken down by industry, and service line. For more information about this report or any of our research, please contact Alice Noyelle.